« Countdown to LOUIE LOUIE Day…. 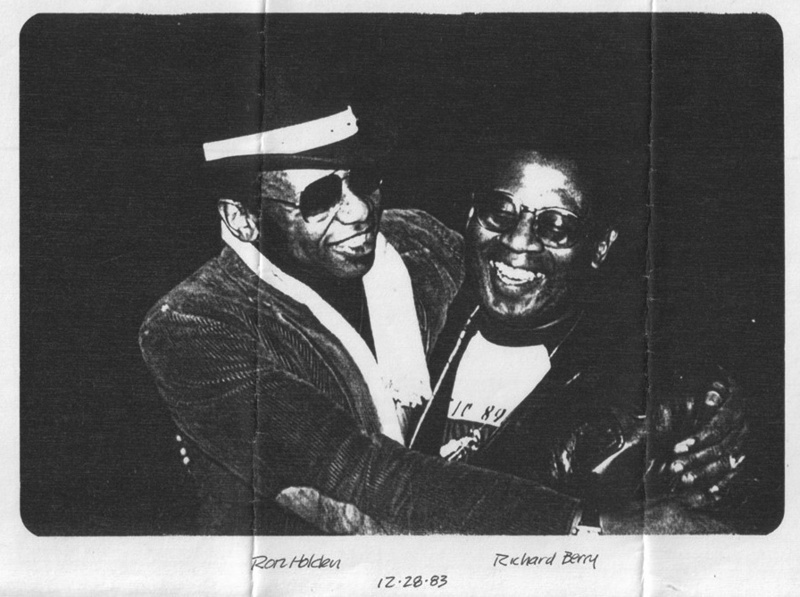 The date was Wednesday, December 28, 1983, just a few months after KFJC Radio had their legendary 63 hour Maximum LOUIE LOUIE Marathon that broadcast over 800 unique versions of the song, and marked the very first time Richard Berry, author of the song, met Jack Ely, the original lead singer of the Kingsmen. 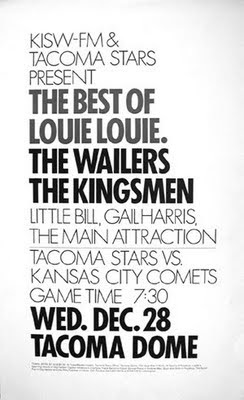 The event was billed as “The Best of Louie Louie” and it took place after a soccer game between the Tacoma Stars and the Kansas City Comets. KISW-FM radio in conjunction with the Tacoma Stars produced this event. On the official poster for this event, the Wailers, the Kingsmen, Little Bill Engelhart, and Gail Harris were listed as the primary performers, but Richard Berry was added as a last-minute special guest. I’ve got an interview with Richard Berry where it discusses what it was like to play at this event. Dennis Flannigan, who was the main organizer of this event, also shared his stories on that very special day. Thousands of people attended this event. In addition to Richard Berry, Ron Holden was also a special guest that wasn’t listed on the poster. Ron was often credited with being one of the first musicians to perform this song in the Pacific Northwest, playing with the Playboys, then the Thunderbirds. Richard and Ron were old friends, and Peter Blecha wrote about meeting up with both of those guys backstage. Video footage was shot at this event, but nobody I’ve talked to seems to know where it is. I still have yet to see any actual photographs. I was sent some Xeroxes of photos, but no actual photographs. In fact, here’s one of those Xeroxes. It’s Richard and Ron. Richard’s wearing a KFJC t-shirt. I have no idea who took this photos, but i’d LOVE to contact the photographer, get a better copy, and see whatever other images exist from that special day. If you have any leads on tracking down any media coverage of this event, please contact LOUIE at LouieLouie.net!! 5 comments to In Search of 1983 Tacoma Dome show footage! Hey Eric. I’m curious how you know video was taken of the event? Any details or hints of who might have taken it. It would be awesome to track this down. i was there as the lead singer of the Kingsmen and saw Ron Holden and Richard Berry along with the Wailers. David Jester, who joined the team as an associate producer of the documentary project, was one of the camera operators. He handed over his raw 3/4″ Umatic footage, and never saw it again. There were other camera operators. The current location and ownership of these tapes remain a mystery…. Just found a poster like the one above…..cool. Wow, I didn’t even know about this show.